Contemporary metallic chandelier in lace. 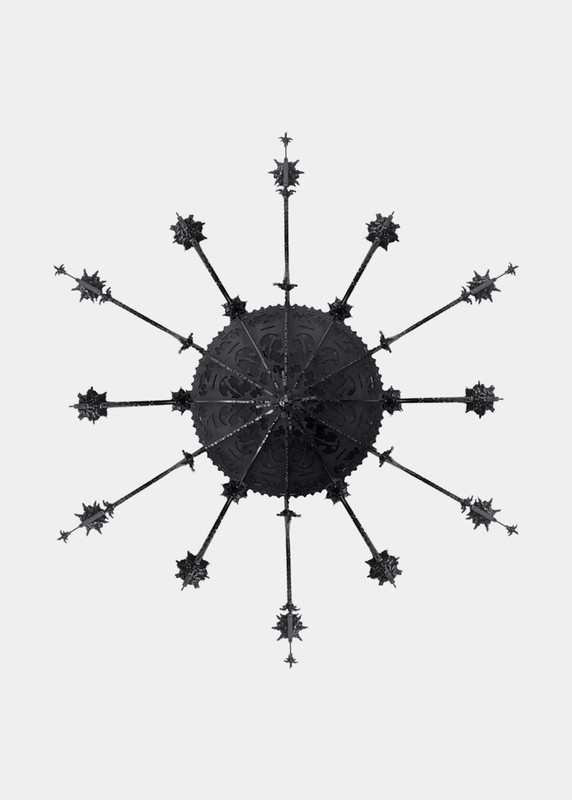 During the 60s, Enzo Scibetta, using pencil, fretsaw, gimlet, clamps, glue, carpentry knives, passion and patience, turned wood into a majestic chandelier. His sons, fifty years later, have magnified their father’s work, making it in steel, thanks to the help of computers and CNC machineries for laser cutting. 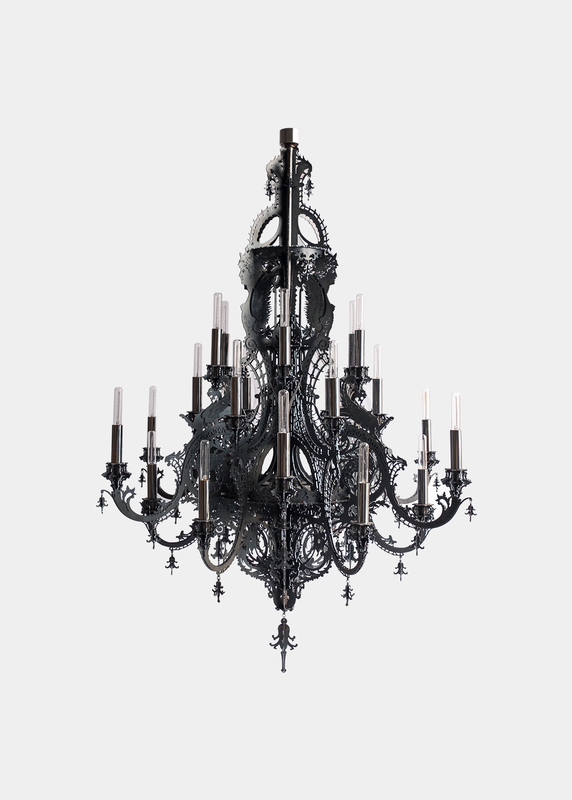 And with the same patience and passion they put together more than 400 pieces that become Gina chandelier chimera. The cathedrals, the miniatures, the luminaries, the processions, the district markets, the bright colors, the confusion, the coast that divides and unites land and sea: all this and more is GINA.